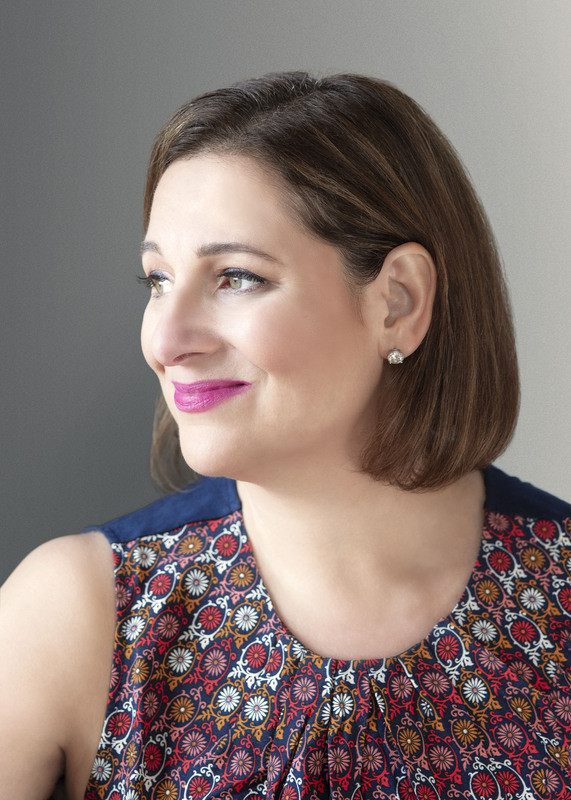 From #1 New York Times bestselling author Jennifer Weiner comes the second book in the “smartly crafted” (BCCB) and “heartwarming” (School Library Journal) trilogy about friendship, furry creatures, and finding the place where you belong. AS MUCH AS SHE HATED school, Alice Mayfair had always hated school vacations even more. At least while she was at school, there was always hope, a glimmer of a chance that some kid might like her or some teacher would befriend her, a tiny bit of hope that her life could turn around. Time with her parents offered no such possibility. They didn’t like her. Worse, they were ashamed of her. And nothing Alice could do or say would change it. Mark and Felicia Mayfair had arranged her life so that they saw as little of her as possible. When she wasn’t away at one of the eight different schools she’d attended, she was at camp. When she wasn’t at camp, she was spending a week with her beloved granny in Cape Cod, the only place she’d ever felt happy. It was only for the handful of days that she wasn’t in one of those three places that she stayed with Mark and Felicia, whom she’d learned, long ago, not to call Mom and Dad. Her mother was elegant and slender, always in a dress or a skirt and high heels, her hair sleek and glossy, her mouth always painted red. Her father was handsome in his suits and polished shoes, with a newspaper or an iPad tucked under his arm and a look on his face that let the world know he was important. Then there was Alice, tall and broad, her hair a tangly mess, all stained clothes and clumsy hands and big feet; Alice, who resembled neither of her parents; Alice, who didn’t fit. Now that she had learned the truth about herself—that she wasn’t human and that her parents weren’t really her parents and that her home was not really her home—for the first time, Alice didn’t feel ashamed or like she wanted to make herself smaller. Alice felt free. She’d left her boarding school, the Experimental Center for Love and Learning, on a chilly morning in December, to start her winter break. It was early afternoon when Lee, her parents’ driver, dropped her off at her apartment building on New York City’s Upper East Side. Alice waved at the doorman, took the elevator to the penthouse, and found her parents waiting for her at the door. She hugged her mother, flinging her strong arms around Felicia’s narrow shoulders, feeling Felicia’s body stiffen, seeing the startled look on her face. “Look at you!” said Mark, and instead of slumping or slouching or trying to rearrange the curls that had escaped from her braids, Alice stood up straight and met his eyes. And did her father flinch a little when she looked at him? Was Felicia looking a little sneaky and strange as she stroked Alice’s hair with a fragile hand? After a moment of startled silence, her parents agreed and handed over a credit card. Alice found her apron in her suitcase and went to the apartment’s airy, immaculate, rarely used kitchen to get started on the meal she’d imagined, and planned on serving at the small table in the kitchen instead of the enormous one in the dining room, where they typically ate on the rare occasions when all three of them dined together. They tested your blood, and it isn’t human. That was what Jeremy Bigelow, the so-called Bigfoot hunter who’d been hot on her friend Millie’s trail, had told her that morning. At first Alice had been shocked and scared—Was she a space alien? Some kind of mutant?—but almost immediately she realized what this could mean. If she wasn’t human, she might be Yare—what humans called Bigfoot. She might be part of the same tribe as Millie, her best friend. Which would, of course, be wonderful. Maybe that was why being Yare was the only possibility she’d considered, the only thing that she thought might be true. Also, as far as she knew, being Yare was the only possibility. During one of their early conversations right after Alice had learned the truth about her friend, she’d asked Millie whether, if Bigfoots were real, then other things might be real too. Alice felt uncomfortable. She’d caught the way Millie’s voice had gotten a little louder when she’d said “things,” as if Alice had implied or meant to suggest that the Yare were in a different, less-important category than humans. Alice had smiled, remembering how Millie had told her the Yare legend of a No-Fur in a red suit who snuck down Yare chimneys each December and stole the toys of bad Yare boys and girls and gave them to the No-Furs, and how Alice had explained how the Yare had twisted the story of Santa. Alice probably had real parents, Yare parents, out there, somewhere, who were looking for her and who would love her when they found her. Being Yare would explain all the ways that she was different: bigger and taller than other girls her age, with big hands and big feet and a wild tangle of unruly hair that she called the Mane. She would find her parents, and she would find her people, and everything would make sense, and, most of all, she wouldn’t be lonely anymore. Alice opened the refrigerator. There was a quart of almond milk that she recognized from her last visit home, two sad-looking apples, a container of bean sprouts and another of tofu, a tub of fat-free Greek yogurt, and a jug of maple syrup that, Alice knew, had never been poured onto pancakes but had instead been mixed with lemon juice and cayenne pepper when her mother did a cleanse. “It’s all right,” said Alice, who was feeling generous. She’d planned a dish that Kate, the school cook and Alice’s instructor, had served in the dining hall: butternut squash baked with honey and maple syrup, stuffed with a mixture of rice, black beans, and goat cheese. Any kind of squash is okay, Kate had told her, and you can put anything you’ve got into the stuffing. It’s a very forgiving recipe. Of course, Kate hadn’t told her what to do when you had nothing. Kate had probably never even imagined a kitchen as bare as this one. Alice walked to the grocery store on the corner. There, she took her time, picking out the firmest squash, the sweetest-smelling onion, the biggest head of garlic. She bought nutmeg and cinnamon, selected a cylinder of goat cheese, and scooped rice into a paper bag. At home she washed her hands and located a knife and the cutting board, as well as a pot for the rice and a baking dish for the squash, both of which looked brand-new. For a while Felicia watched from the doorway, balanced lightly on her high heels, slim as a blade of grass in her skirt and blouse, asking Alice if she needed help turning on the oven, telling her to be careful with the knife. Alice shook her head. “I’m fine,” she said. She was thinking of the sweater that was draped neatly over Felicia’s shoulders. The sweater, Alice knew, would never dream of slipping, and the skirt’s hem would never be crooked, and not a strand of her mother’s long, straightened hair would dare to fall out of place. Alice settled the squash on the cutting board and used a knife almost as long as her arm to slice it open with one strong, exact stroke. “Look at you go!” said Felicia. If her mother was slim as grass, then Alice was sturdy as an oak tree. She was strong and fast. She could run for miles, she could leap over fallen logs, she could swim across a lake and tow another girl to safety. She had saved Millie, and saved the entire Yare Tribe, and now, finally, Alice knew the truth about herself, and now, finally, she was going to find out where—and to whom—she really belonged. Felicia was still watching. She watched while Alice smashed cloves of garlic and diced an onion, while she cooked the rice and toasted the spices and crumbled a fistful of cheese. Eventually, Felicia drifted over to the breakfast bar, where no one had ever eaten breakfast, and sat on one of the stools, which had never held anything but a newspaper or a purse or a stack of fashion magazines. Alice drained the golden raisins that she’d plumped in a mixture of cider and vinegar. “That looks delicious,” said Felicia. Her mother nodded, then looked at her. Alice readied herself for the usual scrutiny, for the way her mother’s mouth would get tight and her nostrils would flare, like she’d smelled something unpleasant, when she inspected Alice’s midriff or her hips. There was always something wrong with Alice’s appearance—a sweater that had gotten too tight, a hank of hair that had slipped out of the braid, a rip or a stain or the dread horizontal stripes that, Alice had been told again and again, were not “slimming.” “Slimming,” of course, was Felicia’s highest praise for a piece of clothing. “One of the girls at school made it for me. Her name’s Taley. She likes to sew,” said Alice. Taley Nudelman, her roommate and her not-quite-friend (but not-quite-not-friend, Alice reminded herself) had made her the jumper as a holiday gift. The Experimental Center welcomed learners of all religions, while observing no holidays, but before the winter break the students were allowed to exchange handmade holiday gifts. With Millie’s help, Alice made her bunkmates rosemary sugar scrubs and lavender-infused honey, and baked them each a tin of cookies to take home. Taley had sewn them all jumpers, soft corduroy dresses that you could wear over shirts and tights or leggings. Alice’s was a golden brown color, and its straps fastened with bright orange buttons. Felicia opened her mouth, preparing to say something, then closed it without a word. Alice bent, sliding the pan of squash into the oven. Seventeen days, she told herself. Seventeen days, ten of them in Hawaii, and she could go back to school. Alice’s father set the table, and Alice sliced the cranberry nut bread that she’d baked at school and brought home in her suitcase. There were bottles of sparkling water, candles, little dishes of soft, salted butter, and, on the sideboard, a cake box tied with pink twine. “Ladies,” said Mark, holding out first his wife’s chair, then Alice’s. He took two slices of Alice’s bread, then grinned at his wife. “C’mon,” he said, poking Felicia’s arm with the bread basket. Felicia looked predictably horrified as she murmured something about an upcoming black-tie gala and how she wouldn’t fit into her ball gown, before selecting the smallest slice and setting it on the very edge of her plate. “Wow,” said Mark. “You’re really going crazy.” He gave Alice a conspiratorial grin. Alice smiled back, and wondered. Maybe Mark was her real, actual father. Maybe he’d met a Yare somewhere in the world and fallen in love. Except she couldn’t imagine where on his travels her father, who had spent his entire life in suits, in big cities, might have come across someone from Millie’s Tribe. Nor could Alice imagine her father in the embrace of a woman like the Yare she’d glimpsed during her one trip to Millie’s village. The Yare women were large, and they wore simple homemade dresses and were typically barefoot, with the tops of their feet covered in fur and their calloused soles impervious to twigs or thorns or cold weather. Their eyes, framed by long, curling lashes, looked startlingly lovely in their faces, which, Alice thought, were regular lady faces, underneath the fur. She smiled at the thought of Mark in a suit with his arms around a woman with a wild tangle of hair and fur covering her arms and legs and face. Alice shook her head. She served each of her parents a portion of the squash and dug in, enjoying the richness of the cheese, the sweetness of the honey, the texture of the perfectly cooked rice on her tongue. It was the kind of thing Millie could be eating, right at that moment. Except Millie wouldn’t be at a table in a fancy apartment with parents who seemed to have very little to say to each other and nothing to say to her. Millie would be deep in the woods, sitting at a fire in a cozy little house tucked under a hill, snug between parents who loved her, surrounded by her Tribe. “Honey, what’s wrong?” Felicia was looking at Alice from across the candlelit expanse of the table. “Nothing,” said Alice. She made herself smile and buttered another bite of bread. “Was this school really all right?” asked Felicia. Her plucked eyebrows were hoisted high, and there was a single black bean speared on the tine of her fork. Her tone suggested that she could hardly believe it. Which wasn’t surprising, Alice thought, given the seven schools she’d been kicked out of or whose administrators had politely asked that she not re-enroll. She felt, more than saw, the look that her parents gave each other, and tried not to feel insulted by their obvious pleasure and their just-as-obvious surprise. “Did you miss me?” she asked, her voice innocent. There was only the barest pause before her mother said, “Of course we did. You’re our sunshine.” Her father nodded, trying to say something around a mouthful of squash and stuffing, finally settling for a wordless thumbs-up. Alice doubted that either one of her parents had actually even noticed her absence. Felicia’s social schedule, her roster of balls and luncheons and party-planning sessions and Pilates classes, would roll on, unimpeded by the occasional demands that Alice made on her time, and Mark was away so much, either at his office all day or flying off to China and Japan, that Alice knew he went weeks without seeing her mother and even longer without seeing her. “I’m just glad we’re all together,” said Felicia, reaching to take Alice’s fingers in her cool, bony ones. It was strange. Alice had always envied her mother’s tininess, her fragility, had thought—and had been taught—that women could never be too thin. Now she could see things differently. She wondered what the Yare would make of Felicia and thought, a little smugly, that if her mother had to run through a forest or swim across a lake to save one of her society-lady friends, she probably wouldn’t be able to make it more than a few hundred yards without collapsing. Those slender arms and fingers would never be able to haul a heavy log out of the way; that slim body wouldn’t be able to hide a friend from view. Alice knew that she would never look right to Felicia, but her body could do things. She could run for miles, maybe not fast, but steadily. She could save a life. She smiled at the thought, aware that her mother was looking at her strangely as her father continued to decimate the loaf of bread, lavishing butter on each slice like a man who knew he might never taste it again. “Tell us more about the school,” said Felicia, who appeared to be picking each black bean out of her portion of stuffing before spearing them on the tines of her fork and popping them, one at a time, into her mouth. “They do that project at every single school you’ve been to, right?” said Mark, giving her a good-natured smile through a mouthful of rice and beans. Instead of answering, Alice imagined that she was Riya, one of her cabin mates and almost-friends, who was a nationally ranked fencer. Riya practiced in the Center’s gym, a ramshackle building constructed as an afterthought by administrators who were obviously not big on the idea of sports. A single court was used for everything from basketball to dodgeball to kickball to tennis . . . and, of course, there was no scoreboard, as the Center did not believe in winners and losers. Riya used the court in the late afternoons, when it was empty, and Alice would watch her, with her silver épée slashing through the air, advancing and retreating, her feet pattering against the ground in a dizzying dance. Sometimes you’d press an opponent, trying to score points, Riya explained, while other times you’d just try to keep your opponent moving until they were exhausted. Alice decided that the second tactic might be in order with her parents. She’d bombard them with questions, keep them off balance, then find out what she needed to know. “What kind of baby was I?” she began. Mark looked puzzled. Felicia’s face had been rendered largely inexpressive due to the injections she got every month, but she still seemed to be afraid. “Avocados,” Mark supplied. “You liked avocados.” He smiled. “I used to slice one of those suckers in half and feed you the whole thing with a spoon.” Felicia’s mouth pursed. “That was too much avocado for a baby,” she said. “Avocados are very high in saturated fats.” She looked down at her plate, the tines of her fork shredding the squash, as if she were checking to be sure that no one had hidden any saturated fats underneath it. Another uneasy glance traveled across the table, almost like a shadow or a wind. Alice nibbled a raisin. If her theory was correct—if she’d been born to a Yare family, then stolen somehow or given away—her parents wouldn’t have any idea of what she’d been like as a baby, because they wouldn’t have been around to see it. “You were fine,” said Felicia, her tone firm, clearly eager to change the subject. This time her parents made no attempt to hide their surprise. Alice had never in her life asked to see a picture of herself and usually tried to hide when they were being taken. She’d pose for school pictures because she didn’t have a choice, and there were a few family pictures taken at Thanksgivings and vacations, where she’d try to camouflage herself behind a convenient grown-up. In most of them, she was frowning; in a few, when she was little, she’d actually tried to cover her face with her hands, knowing, even then, that she looked wrong. Felicia collected herself. “I’ll see if I can find some,” she said. Alice had nodded serenely, knowing that her mother would come up with some excuse, and that no photographs would be forthcoming, because they didn’t exist. Mark, beaming, clapped his hands. “Who’s ready for dessert?” he asked, and untied the paper box to reveal a cake with white buttercream frosting and pink spun-sugar flowers and the words “Welcome Home, Alice” written on top. Felicia cringed. “I’ll cut it,” said Alice, and she helped herself to a thick slice with a pink frosting rose and a big glass of milk. That night Alice sat on her bed, in her favorite plaid pajamas, waiting for her parents to go to sleep. Her plan was to scour the house, every desk drawer and cabinet, trying to find pictures of herself as a baby. She was checking her email—she’d lent Millie her laptop for the vacation, hoping they could stay in touch—when her mother knocked on her door. “Come in,” Alice called. Felicia wore a lacy nightgown and a matching robe. Her pedicured feet were bare and there was a book in her arms, with gold-leaf pages and pale-pink leather binding. “I wanted to give you this,” she said, handing Alice the book. Alice saw her initials and the date of her birth, all rendered in scrolling gold-leaf cursive on the cover. “It’s your baby book,” she said, unnecessarily, as Alice flipped to the first page and saw a picture of her mother in a hospital bed. “It’s important, I think, to know where you come from.” Alice was so busy studying the first shot that she almost didn’t hear. In the photograph, Felicia looked frail and exhausted. Her hair—not the bright, sleek blond with which Alice was familiar, but instead an unremarkable reddish-brown that looked more like Alice’s own hair—was matted and curling around her cheeks. Her eyes were shiny and her face was flushed as she clutched a blanketed bundle in her arms. Her face was fuller than Alice had ever seen it, her cheeks plump and rosy and without the fashionable hollows underneath. Her lips were chapped and lipstick free, and her gown clung to her, damp with sweat. There were IV lines in both of her arms, and Alice counted the figures of half a dozen people gathered around the bed. Alice nodded, even though she wasn’t sure what hair dye might have to do with a pregnancy. “Was this Mount Sinai?” she asked, naming the hospital in their neighborhood, the one where most of her Upper East Side acquaintances had been born. “I was born in Vermont?” This was new information for Alice. Alice nodded, remembering the dozens, possibly hundreds, of times that her father had gotten a call from his boss in the middle of a vacation or a sleepy Sunday or a meal. “And then you decided to make your debut a month ahead of schedule. It took a while for Mark to make it back. There’d been this huge snowstorm. It was days before they got the roads cleared and they let me go home.” Felicia flipped the page. There she was in a wheelchair, her hair marginally neater, drawn back in a ponytail, holding a bundle that was probably her baby, and wearing—Alice blinked, looking more closely—sweatpants and a loose plaid button-down shirt and thick wool socks andxs . . .
“Snowstorm,” Felicia reminded her, and Alice nodded. Except she’d seen how Felicia dressed for the snow. Her winter clothing typically involved a coat of the stitched-together pelts of small, dead furry animals, and fur-trimmed gloves and high-heeled leather boots that matched. Alice turned the page, and there was the mother she knew, in a picture she’d seen before in a silver frame on the table in the apartment’s entryway. “Your christening,” said Felicia. In that shot, Felicia’s hair was blond and shining, as she stood in front of their apartment’s floor-to-ceiling windows with the baby in her arms. Alice, in her mother’s arms, was wearing some kind of stretchy yellow garment, patterned with ducks, that covered her from her neck to her toes, and she looked like she had doubled in size since the first picture. She had three chins and no hair, but Felicia had put a headband of fake flowers around her head. There was no fur anywhere that she could see. She looked, Alice thought, with her heart sinking, entirely human. “Dinner was delicious,” her mother said. Alice, who’d been studying the picture so closely that she’d almost forgotten that her mother was there, gave a little jump. You didn’t eat any of it, she thought. “I’m proud of you,” Felicia said, and bent down in a cloud of perfume to brush Alice’s cheek with her lips. Once her mother had departed, in a swish of silk, Alice resumed her study of the photo album, flipping slowly through the pages, feeling her heart sink with each shot that documented the first hairless Yare-less year of her life. There was Felicia feeding her a bottle, and Felicia giving her a bath, and Felicia and Alice, asleep on the couch, with Alice tucked up against Felicia’s shoulder. Maybe it was a fake baby, she thought, and checked her phone again, hoping for a note from Millie. Maybe Felicia and Mark had faked all of these shots, just waiting for this very occasion, the day when Alice would ask to see proof that she was theirs. Except the baby in the pictures had a heart-shaped birthmark underneath her left ear, the same as Alice. And even though she didn’t want to, Alice could see herself in that pudgy-faced, squishy-limbed baby: the arch of her brows, her full lower lip, even the shape of her fingers. In her pajamas, cross-legged on the down comforter on her bed, Alice frowned, leaning so close to the pictures that her breath fogged the plastic that covered them as she flipped back to the very first shot of Felicia in the hospital and newborn Alice in her exhausted mother’s arms. She was about to close the book when something in the assembled figures around the hospital bed caught her eye. All of them—doctors? Nurses?—wore scrubs and surgical masks and most of them were men. But one of the figures toward the back was short and round and female, with merry blue eyes that seemed to twinkle with some secret knowledge. Alice squinted and held her breath. Unless she was mistaken, or her educational consultant had a twin, she was looking at Miss Merriweather, the small, kindly, white-haired woman who’d been responsible for sending Alice to all eight of the schools she’d attended . . . the one she’d first met when she was six years old. But why had she attended Alice’s birth? What would an educational consultant from New York City be doing in a hospital in Vermont with a brand-new baby? Had Felicia and Miss Merriweather known each other before Alice was born? And if that was true, why had her parents introduced Miss Merriweather to her as if she were someone they had just met, instead of someone they were already acquainted with? Alice looked more carefully, wanting to be sure. Her heart was beating so hard that she could hear it, and her mouth felt cottony. Millie, she thought. I have to tell Millie. But of course she couldn’t. She could write an email, but Millie would have to find time and privacy to check it . . . and of course the Yare did not have cell phones, so there was no chance of a call. “Nyebbeh,” she muttered, which was a Yare expression, before padding, barefoot, out of her bedroom and into the living room. Her parents kept a dictionary on a stand next to the bookcase full of fancy leather-bound books that Alice didn’t think had ever been read. On top of the opened dictionary was a magnifying glass. Alice carried the magnifying glass back to her bedroom, then used it to peruse every bit of the baby picture. She was almost positive—almost, but not entirely sure—that the masked figure at the very edge of the shot was, in fact, Miss Merriweather. She was smiling down at baby Alice, like one of the good fairies in the story of Sleeping Beauty, one who’d come to give Alice a gift, not of grace or beauty or a lovely singing voice, but maybe the gift of strength, of resilience, the patience to wait and the courage to keep trying until she’d found her place in the world. She looked at her mother again, her messy hair and flushed, freckled cheeks; her plaid shirt and her flat-soled boots; and, after she closed the book and fell asleep, she dreamed a dream she’d had a thousand times, a dream of running to her real mother, a mother who’d want her and who’d love her. Only, the thousand other times she’d had that dream, she’d never seen the woman. She’d always been some far-off figure in the shadows, too far away for Alice to see her face. 6. 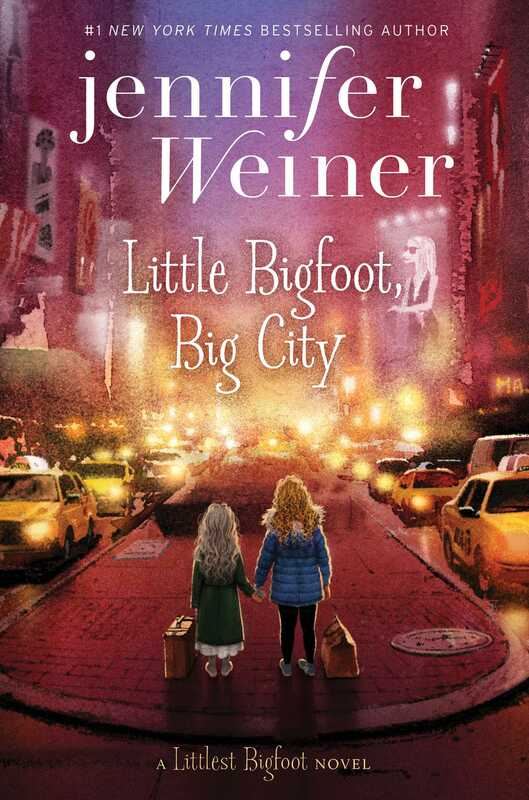 Discuss how Alice’s yearning for her real, Bigfoot parents mirrors some of the ways that adopted kids feel: her real parents would understand her and would explain all the ways she is different from other girls. Is this kind of thinking common only to adopted children, or do all kids feel like they’re different at some point? Can you relate to the idea that a big discovery might lead to a big understanding of yourself? 8. Each of the three main characters—Alice, Millie, and Jeremy—are misfits. Talk about the reasons why each of them feel that they don’t belong. Can you relate to any or all of them? Do you think that friendships can give you a sense of belonging? How can friendships make you notice differences that also set you apart? 11. Do you think that this book portrays the government as the bad guys? Have you seen movies or read other books where this theme is evident? How about the opposite—does the government ever save the day? What role should the government have in our lives? 17. As Millie came closer to being accepted for The Next Stage, she started to wonder: “What if winning the competition meant losing her friend, her Tribe, her family?” How do you think she might feel if she won? Would the fame and fortune be worth the losses? Do you agree with her when she decides, “‘If I don’t try, I’ll always wonder’”? 1. Write a character analysis of Jeremy. He tells himself “‘I’m one of the good guys.’” Do you agree? Decide whether he’s a hero or a villain, and give examples from the book to support your decision. 4. Research and write a report about the Bigfoot myth. Where do you think these myths originate from? Why would a myth about Bigfoots be useful for people?